National Day of Listening is an unofficial holiday celebrated on the Friday after Thanksgiving Day. 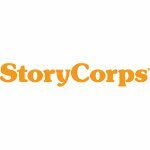 It was launched in 2008 by StoryCorps, a NPO whose mission is to provide Americans of all beliefs and backgrounds to record, preserve, and share the stories of their lives. National Day of Listening was designed as an alternative to the Black Friday shopping madness. The day after Thanksgiving was chosen because on this day families and friends are more likely to gather together. On this day, StoryCorps encourages people to interview a loved one, friend, or member of their community and share this interview with the world. StoryCorps provides a free DIY guide for those who want to participate in National Day of Listening. It has even developed a free mobile app that helps users create a list of questions, find the right interview location, record a high-quality interview using their mobile device, and upload the recording to the StoryCorps website to share it with the world. Every year, tens of thousands of Americans interview each other on National Day of Listening. Many radio personalities, including Liane Hansen, Scott Simon and others have participated in the event, recording and broadcasting interviews.